In 2018, China’s sulfur market once again attracted everyone’s attention. With the international oil price in the first half of 2018 undergoing continuous increase and hitting a new high in four years, it definitely supported the market participants’ sentiment. The continued strengthening of the US dollar exchange rate had led to an increase in import costs, and speculators and end enterprises negotiated cautiously. The trading activity was active in spot market. Inventories at China’s port slowly declined from high levels, strongly lifting sulphur prices. Ammonium phosphate export orders were higher than expected, giving strong support to the sulphur and sulfuric acid markets. Curbed by the severe environmental protection inspections in China, restrictions on the return in some ports and the suspension and limitation of production at small and medium-sized sulphuric acid and phosphate fertilizer enterprises, etc., the changes in the sulfur market had been greatly promoted. How did China’s sulphur supply and demand pattern evolve in 2018? What is the development of downstream sulfuric acid and phosphate fertilizer industries? What development opportunities will the future sulfur-sulfate-phosphorus fertilizer industry chain have? What are the hot spots in the sulfur-sulphuric acid industrial chain market in 2019? SCI has been engaged in commodity research for 15 years. 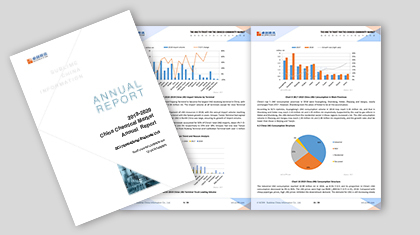 This report is based on the original data researched by SCI, combined with China’s macro policies and industry characteristics, to review the 2018 China sulphur market in detail. Combining tables and text, this report analyzes the supply and demand pattern, profit changes, market participants’ sentiment changes, etc., and prospects for the future development of the sulphur market, providing more powerful arguments for market participants’ decision-making.